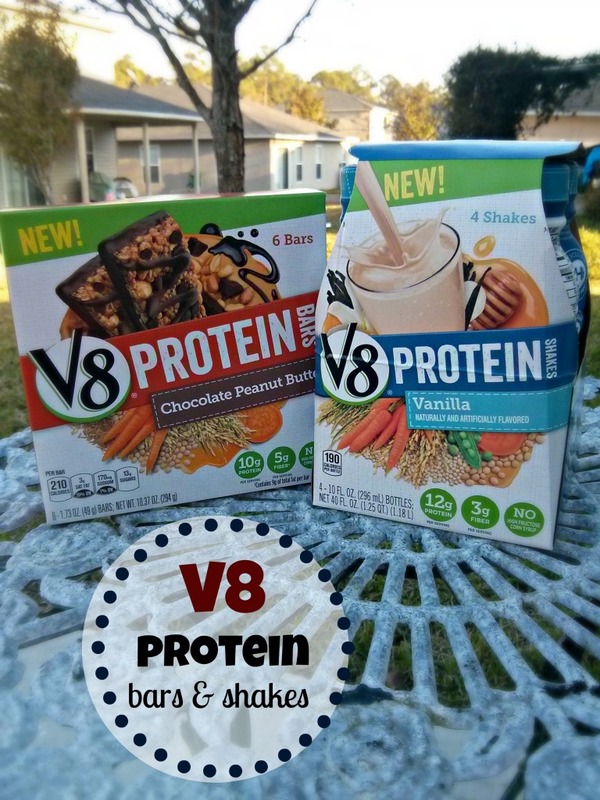 Have you tried Campbell’s New V8 Protein Shakes & Bars? 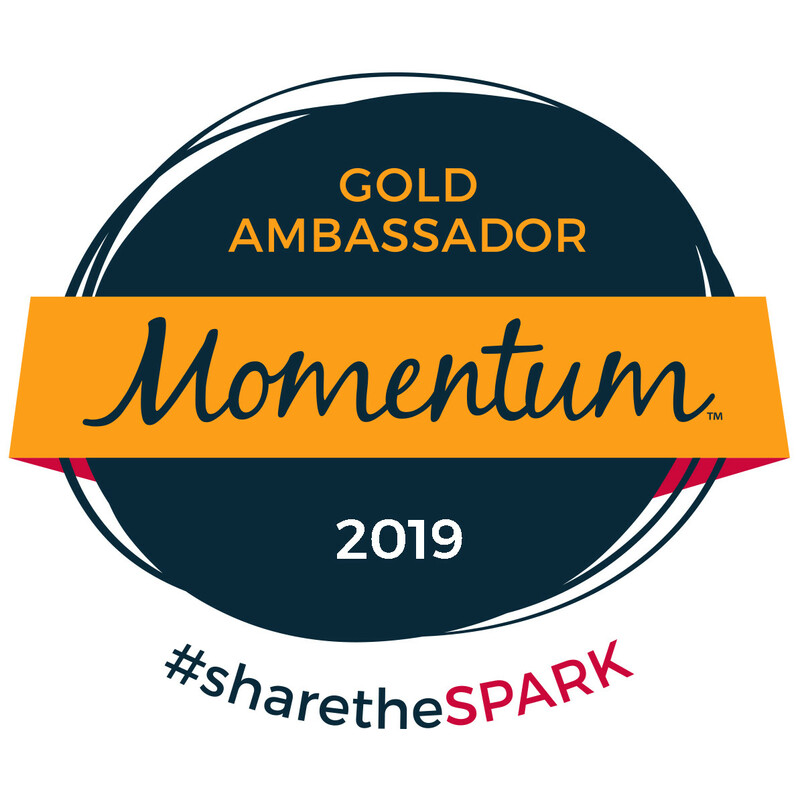 As I’ve shared before, one of my biggest struggles as an athlete – and just in general – is maintaining a balanced, nutritionally sound diet. This won’t be a popular statement in my fitness & healthy living community, but it’s the truth: I just don’t pay a lot of attention to what I eat. 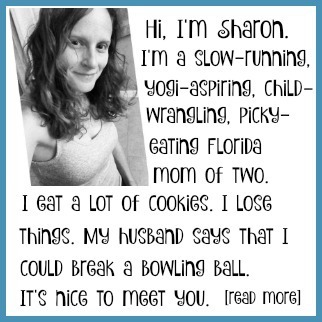 I’m also a little lazy when it comes to reading food labels, I’m not particularly well-informed about nutrition, and I have the picky palate of your average 8 year old. And to be perfectly honest, it’s simply better for my mental health when I don’t focus on or obsess about food. I’m happier and healthier when I stick to a more natural, eat-when-I’m-hungry lifestyle. The trouble is that when eat what I want, when I want, I tend to have a very carb-heavy diet. I love bread and pasta. I eat lots of fruits and veggies. I love cheese and yogurt (although it doesn’t always love me), and I do manage to get some protein that way. But otherwise protein just isn’t one of my diet staples – at least not without some sort of supplemental shake or bar. Fortunately for me, I enjoy both. In particular, I’m a big fan of protein bars – I have one for breakfast every morning! 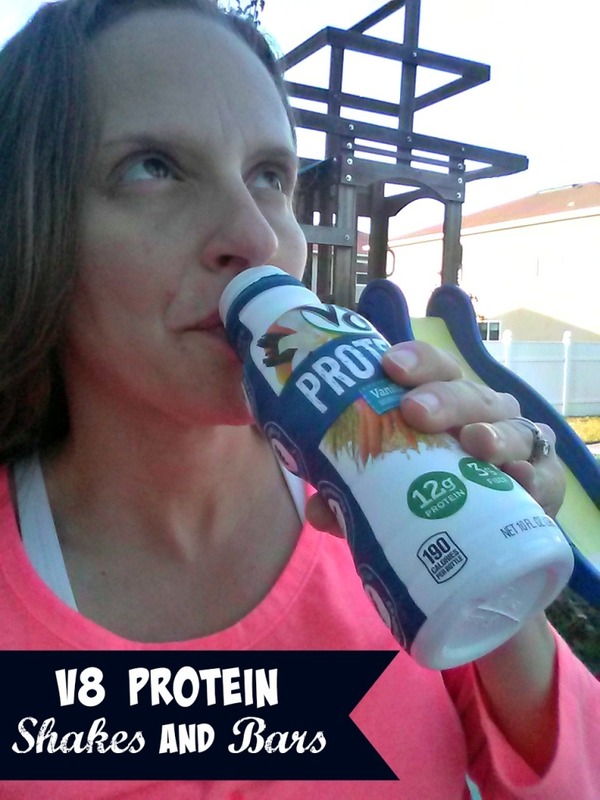 I have a few favorite brands, including a brand new one from Campbell – V8 Protein Shakes and Bars. Protein bars are a super easy part of my normal morning routine. First coffee, then water, then a protein bar in the car while I’m dropping my kids off at school. And after a run, a protein shake hits the spot (and gives me the protein that I need for recovery). It’s easy to grab a shake and have it waiting in the car for me after a run. One thing that I love about V8 Protein Shakes and Bars is that I actually recognize the ingredients! 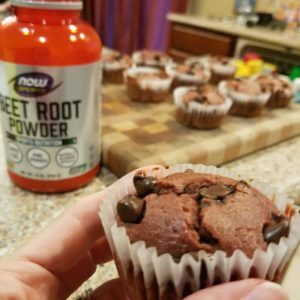 They’re made from good stuff like milk, soy, peas, brown rice, quinoa, and veggies like sweet potatoes and carrots. And they’re sweetened with honey, brown rice syrup, and/or sugar. The bars and shakes have a respectable 10-12 grams of protein and 3-5 grams of fiber. Not too shabby. Oh, and the bars only have 210 calories, which is quite a bit less than my usual morning protein bar. 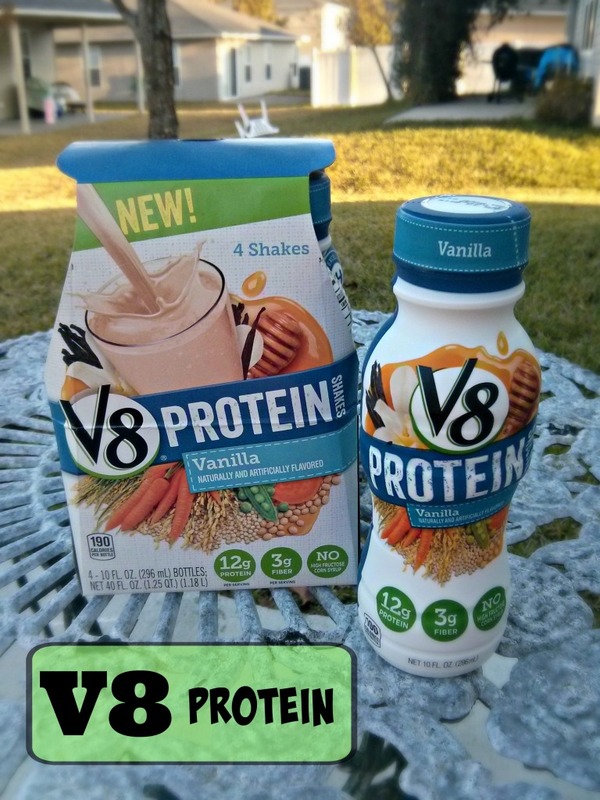 (The V8 Protein Shakes have 190 calories per bottle). The V8 Protein products are brand new, so don’t be surprised if you have to search for them a bit – but it’ll be worth it! 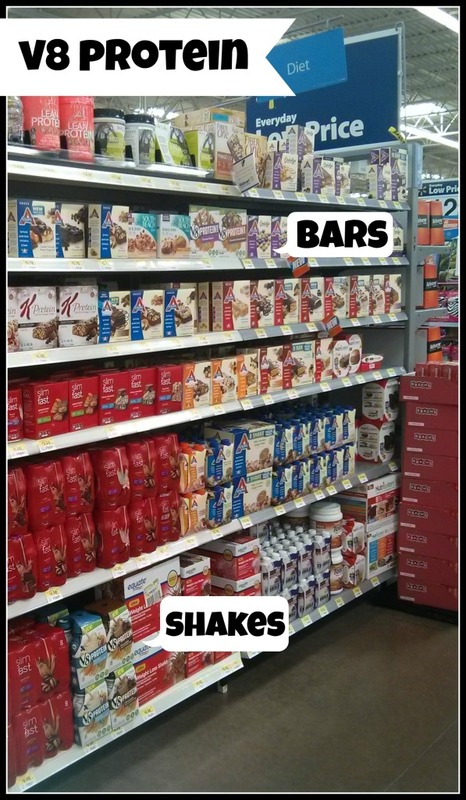 In my Walmart, both the shakes and bars are located in the health and beauty aisle. They come in 6 flavors: Vanilla, Chocolate, and Chocolate Raspberry for the shakes, and Oatmeal Raisin, Chocolate Peanut Butter, and Chocolate Pomegranate for the bars. Intrigued? 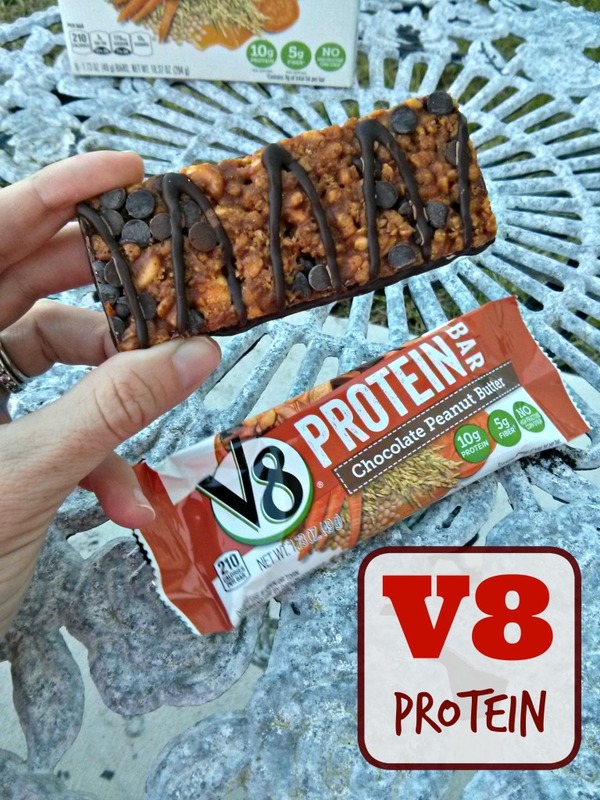 You can learn more about V8 Protein Bars and Shakes online, on Facebook, and on Twitter. Which flavor sounds best to you? Which, if any, meals do you eat on the go? Exactly! Love the availability these days of stuff that’s not loaded with mystery ingredients.